A blog reader asked me how I set everything to run multiple browsers simultaneously. Here’s how I configured my Mac® to use five different versions of Internet Explorer at the same time. 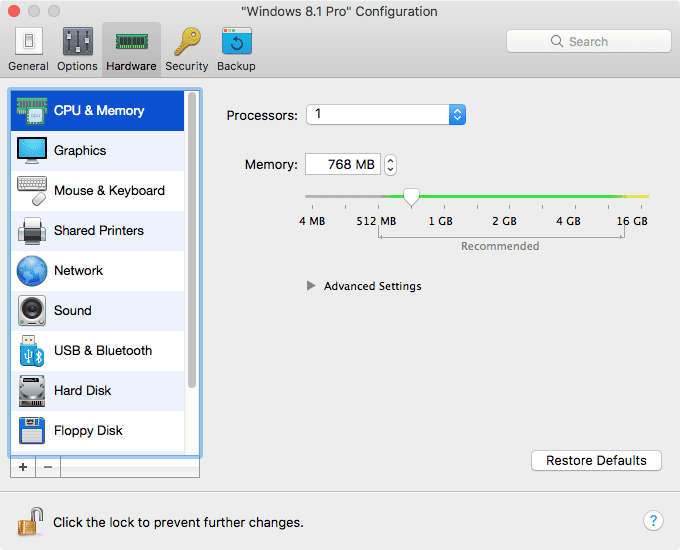 To store all the VMs, you will need about 60–90 GB of free space on your Mac. A Mac with an internal SSD is best, but a hard drive will also work. (If you download all the VMs listed in Step 2, you will need about 90 GB.) Alternatively, if you have a fast external SSD (like the SSD2GO drives), you can use it instead of your Mac main storage. To run multiple VMs simultaneously, you will need a lot of RAM—probably a minimum of 10 GB. The Mac I used in my earlier blog post has 16 GB of RAM. The six VMs that you can download are listed in Figure 2. These VMs are free and last for 90 days. After 90 days, you can download them again. 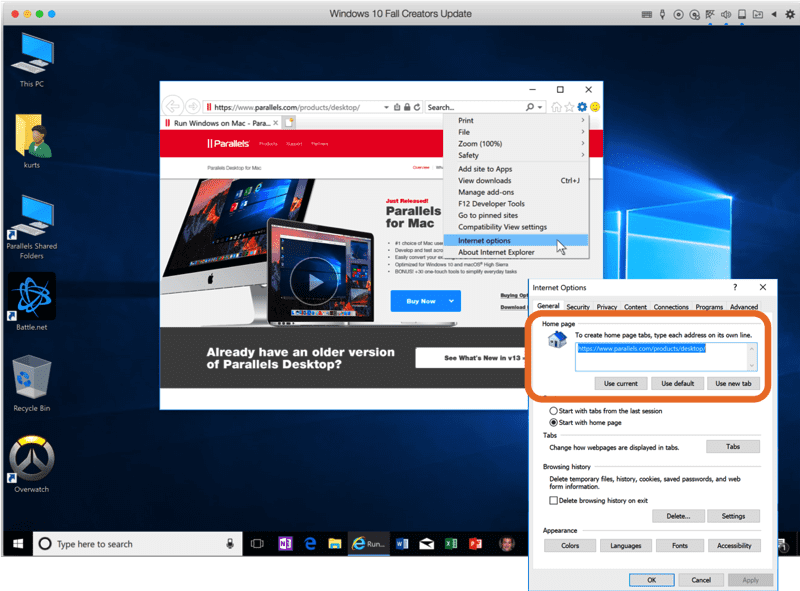 Parallels Desktop will automatically decompress the VMs and install them in the Parallels Desktop Control Center. 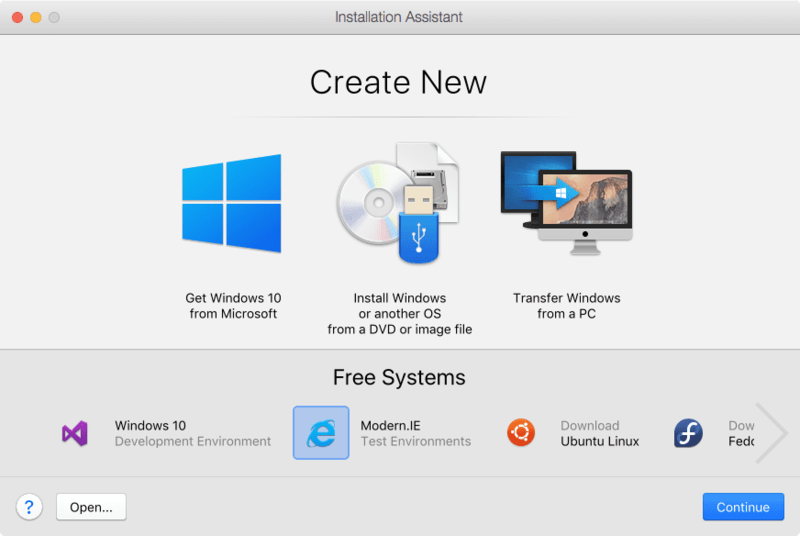 You will need to install the current version of the Parallels Tools in the VMs, and you will probably need to install a security update or two. Make sure you don’t inadvertently install a later version of IE in the VMs. Memory: You should set the memory for the VM near the bottom of the recommended range ( see Figure 3). In addition, you may want to set the number of processors to one. 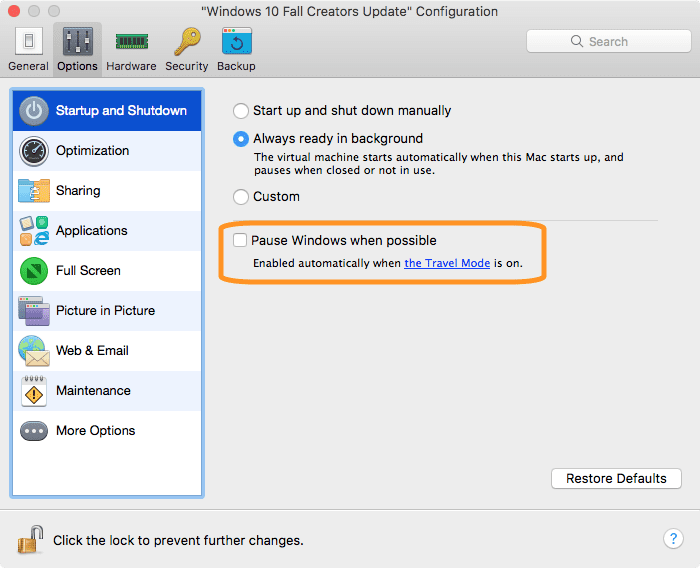 Don’t Pause: Uncheck the setting “Pause Windows when possible” (see Figure 5). IE Home Page: You might want to set IE to automatically point to your staging server (see Figure 6). However, if you switch to a non-Retina resolution and boot a VM that was last used on a Retina screen, the VM will look rather weird. This is why I suggest you set the resolution to “Best for external displays.” The menu item shown in Figure 4 only appears when the screen is set to a Retina resolution. 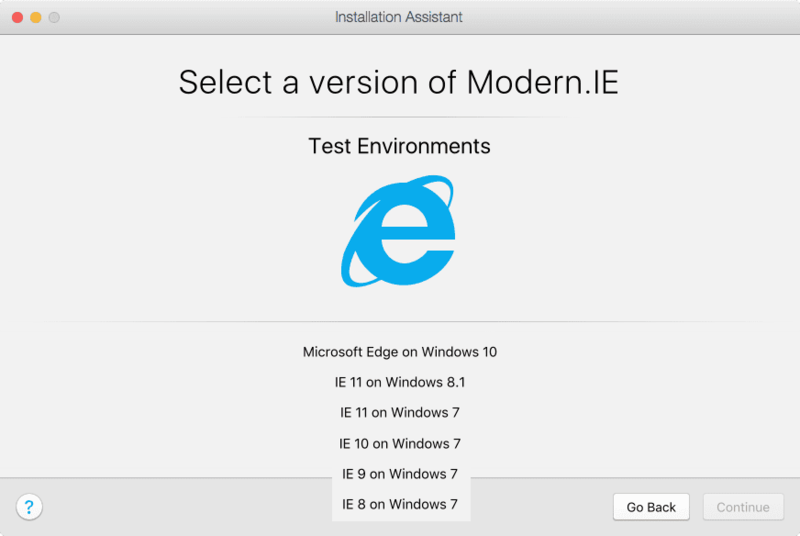 If you regularly use multiple IE versions, you can use the Launch tool in Parallels Toolbox to launch them all while you go get a cup of coffee. Your Launch settings would look something like Figure 7, where you can see the many IE icons used over the years. I hope this is useful for those who want to use many versions of IE simultaneously.